Feel The Leaves Crunching Under Your Feet | There's something about being huddled under an umbrella or wrapped up in layers of clothing that makes hearing the crunching of leave underneath your feet even more enjoyable. Put Your Dressing Gown On The Radiator | I've definitely mentioned this before, but putting my PJ's or dressing gown on the radiator before I get into them is one of those little delights. I get awfully cold in the Autumn/Winter, so I love doing this on a regular basis. Head To A Pumpkin Patch | This is on every to-do list I have for October as I really want to pick my own pumpkin to carve for Halloween. I suspect that it'll be very instagrammable too! Bake All The Sweet Treats | Whether it's pumpkin themed biscuits or a cupcake topped with candy corn, baking up batches of your favourite treats is a great way to feel cosy in the Autumn. Spend A Whole Day Inside Watching Films | Harry Potter is my first choice which comes as no surprise and as it's now October, I fully aim to watch them all back to back at some point this month. There's nothing quite like switching off from your phone, reaching for all the blankets you own (maybe even a duvet) and snuggling up on the sofa with a hot chocolate - Bliss. Make The Most Of The Cold, Clear Nights | Although it can be a little chillier when there's a clear sky out, I can't help but make the most of seeing the shooting stars and clear moon in the sky. When it starts to get darker earlier it makes it even more magical and I start thinking of Christmas early. Go On A Walk In The Rain | Whenever I go for a walk in the rain, I get excited about getting all cosy when I get in. Collecting conkers and scavenging for pine cones are just a few of my favourite things to do on a walk. Have A Candle Lit Bath | Bath and Body Works have completely stolen my heart this year, especially with their new camp winter collection. My favourite way to unwind and pamper myself this time of the year is to light some candles around the bath, pop on a face mask and let my troubles float away. See The Christmas Lights | Although some may try and deny it, Christmas is just around the corner, or more importantly Christmas lights. Depending on where you live they can start popping up some time soon and seeing them being turned on is always a magical moment for me. 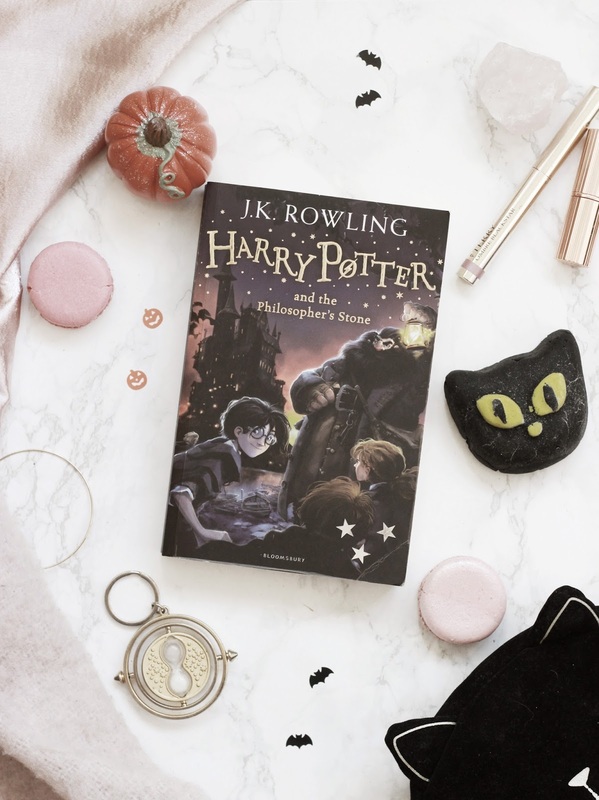 Go To The Harry Potter Studios | One of my favourite things about the A/W season is that it's acceptable to watch Harry Potter as many times as possible and the studios, which I went to twice before, are one of the most magical places to go in my opinion. It's nice to see the sets and props, it makes for a great afternoon's entertainment. How do you like to add a little magic to your Autumn?